Enables the Desktop App to filter out your neighbors sensors. Note: All your sensors need to have the same ID! 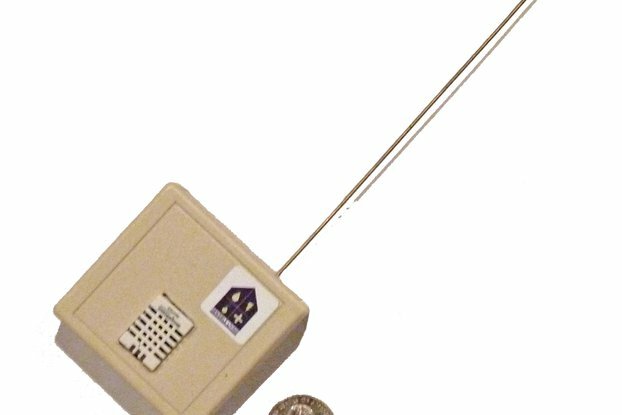 Use it to tell when the garage door is open etc. 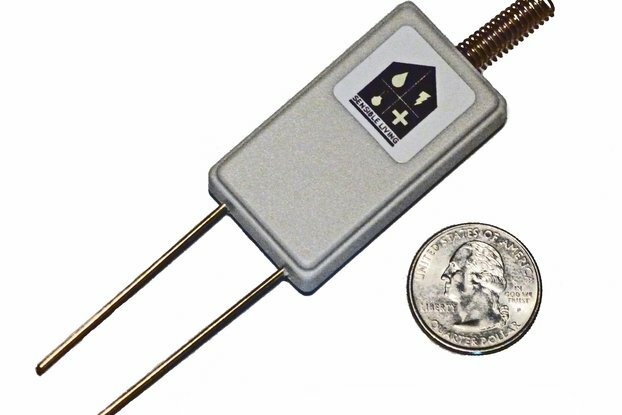 The GP3 is an Arduino derived sensor node combined with a 433 MHz transmitter. 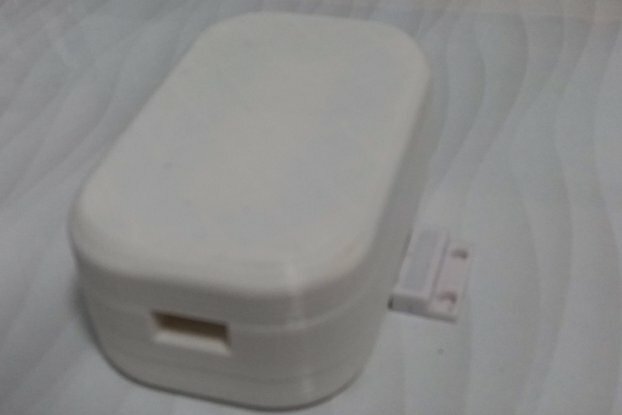 It is designed as a low power, battery operated, sensor that sleeps most of the time and wakes up once per “Interval” to send it’s status. 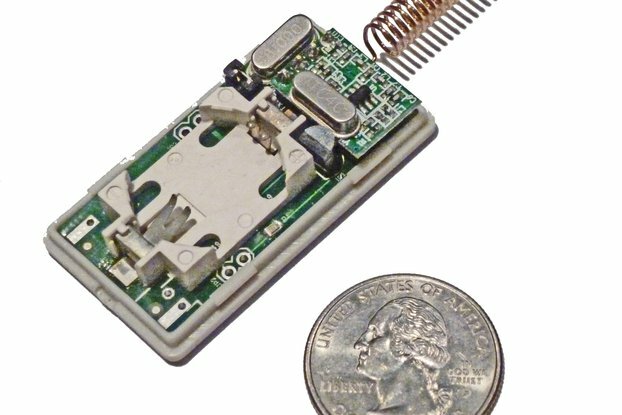 If you are acquainted with the Arduino environment and would like to build your own custom wireless sensor this is an easy way to go. 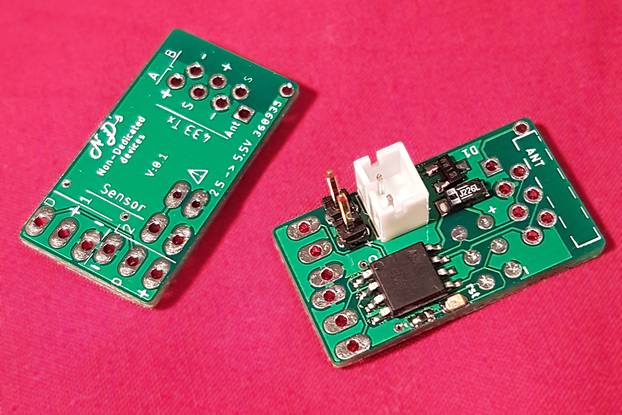 Several analog and digital lines are brought out to connectors or pads making it easy to implement your new sensor. I often start with this board when bread boarding a new sensor. I have many sketches available that demonstrate how to use the GP3 to communicate with a collection of different sensing elements like: DS18B20 digital temperature sensors, tilt sensors, motion sensors, moisture sensors, pressure sensors, float switches etc. It also includes pads for a buzzer for alarm conditions. Use the sketches as is or adapt them to the number and type of sensors and your special needs. Typically the board draws 15ma while working and around 25-30ua while sleeping running from a 3.7v LiPo battery. 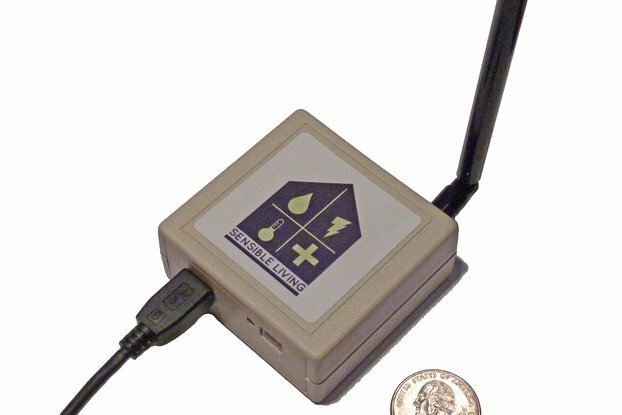 The Sensible Living Receiver and Desktop application (sold separately) are designed to work with the GP3 wireless sensor node. The Desktop App parses the received message, time stamps it, applies your scaling factor and provides a convenient way to see, monitor and track your sensors. If you already have a FTDI board or equivalent you are all set, if not, I have my own version USB to Serial Adapter available which is a little less expensive. 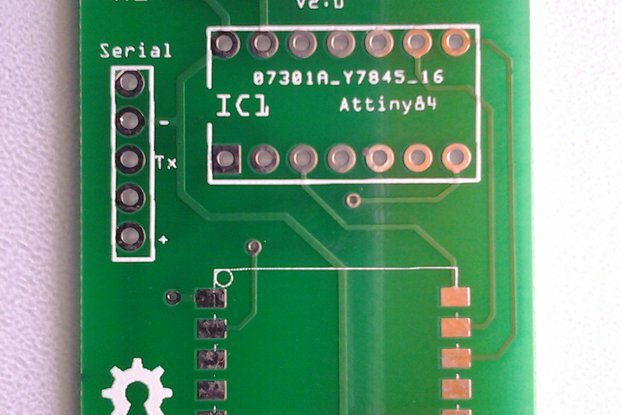 The Eagle files and Arduino sketches for the GP3 board are free to download. All sketches include a simple monitor allowing you to set sensor ID, reporting interval, and house code as well as some simple debug and test features. The transmission protocol supports up to 5 sensors per node. The GP3 Node is designed to work with a 3.7v LiPo (Lithium Polymer) battery that will keep your sensor running for more than a year before recharging. (Assumes the default reporting interval of approximately one transmission per hour). The GP3 typically draws about 26ua while sleeping. 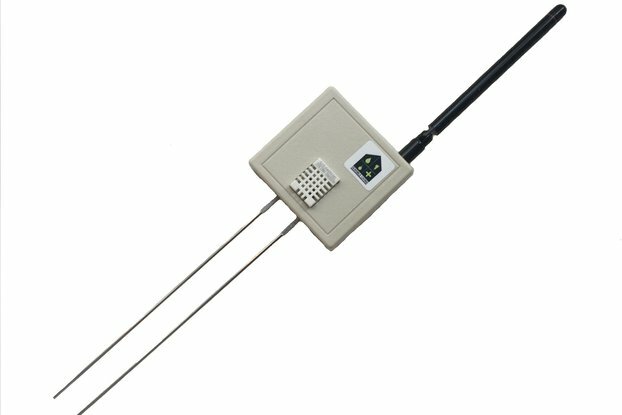 I have wanted to play with wireless sensors in and around my home for years but didn’t find the time until after I retired. This started out as an Arduino learning project for me and got out of hand :-). I have half a dozen different types of sensors (Plant moisture, water leak, temperature, temp and humidity, tilt, motion, water level …) that all use this same board. Most have been working for nearly two years by now. 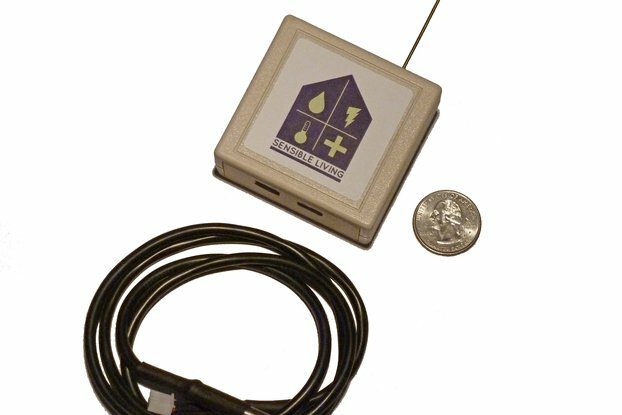 I also have others for monitoring AC power, combustible gases, A five sensor plant moisture node for an indoor garden etc. 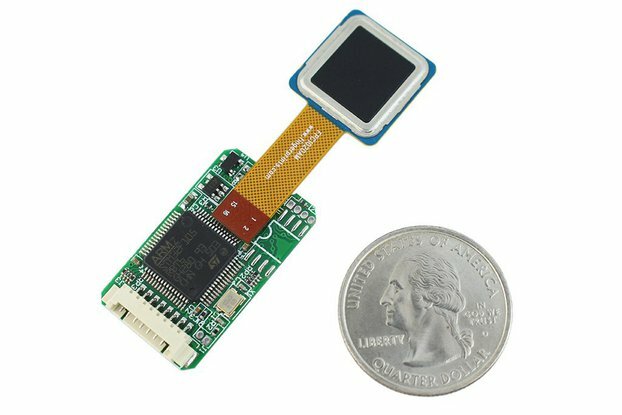 as well as a collection of "Mini" sensors that are smaller and draw even less power. All of these were built to address specific needs around my home and for my family. 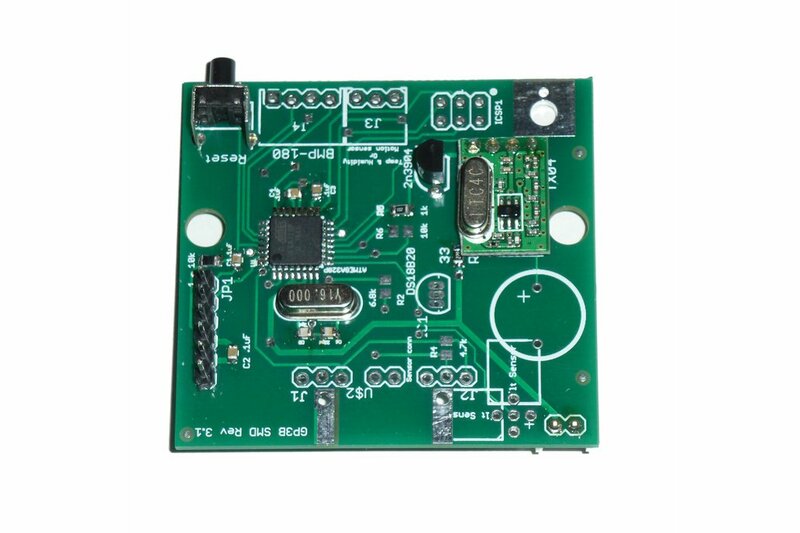 The GP3 is a general purpose wireless sensor board that supports many different kinds of sensors. Just add the battery, sensor of your choice and load or write the appropriate sketch and your off and running. 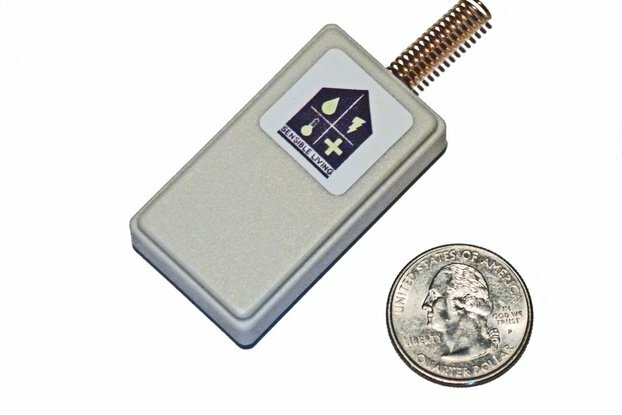 If you are interested in playing with wireless sensors this is an inexpensive and easy way to get started. 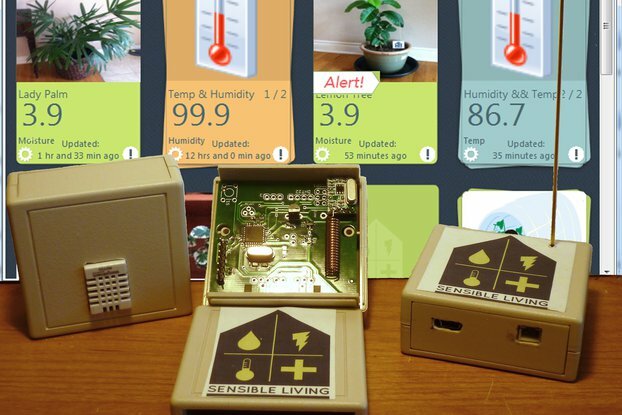 This board makes it very easy to start playing with different sensors. Everything is in place to make your new or experimental sensor connect to the outside world - all the hard work has already been done.